As a child, he begged for money on the streets of Panama City in hopes of finding his next meal. Now, he strives to achieve his dream of competing in the Olympics. In the U.S., Jorge continued to be a champion. 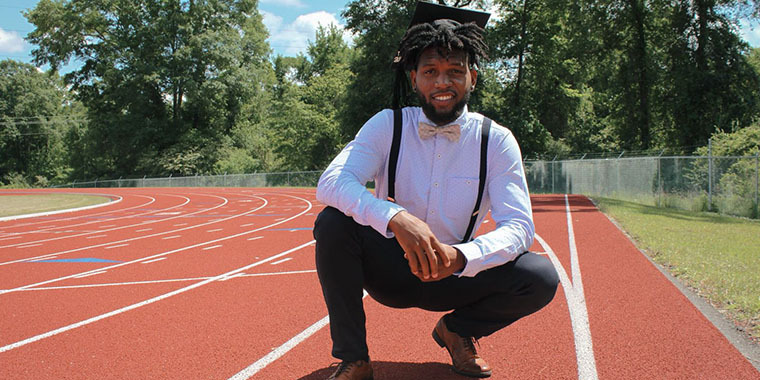 He studied at ASA College in New York between 2012 and 2013, where he won the silver medal in the 400 meter relay race at the U.S. Regional University Games. He later moved on to William Carey University in Mississippi where he won first place in the decathlon at the Southern States Athletic Conference Track & Field Conference Championship two years in a row - 2017 and 2018. In May, Jorge graduated from William Carey University in Business Administration, specializing in Information Systems. His next step is pursue a Master’s degree in Information Sciences. He wants to continue training in the decathlon and dreams of representing Panama in the Olympic Games.